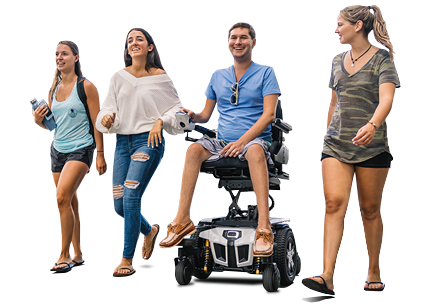 TRU-Balance® 3 Power Positioning Systems feature an innovative design that maximizes functional independence while providing an appealing look and feel. TRU-Balance 3 has the ability for quick and easy fine-tuning adjustments to ensure maximum comfort and positioning. Available configurations include power tilt, power recline, power articulating foot platform, static seating, and manual recline. 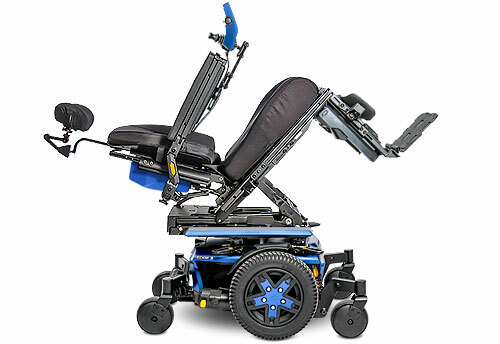 Optional 12" iLevel® power adjustable seat height is available on the Edge 3, Q6 Edge® 2.0, Q6 Edge® Z, and Q6 Edge 2.0 X, and 10" of safe seat elevation is offered on the 4Front®.